We had a happy hour for a local charity my hubby and I support recently and I pulled out this number. I need to think of a fabulous name for my husband because he probably doesn’t want to be associated with any blog of mine. He belongs to a charity organization here in Dallas and they have fundraisers and happy hours on a regular basis. I chose this outfit to wear to the last happy hour. I would not wear this dress to work because it is a bit more risqué (see cleavage!) but the fabric is perfect for the scorching Texas temperatures if you are sitting on a patio having a drink with friends. I love the bright color. 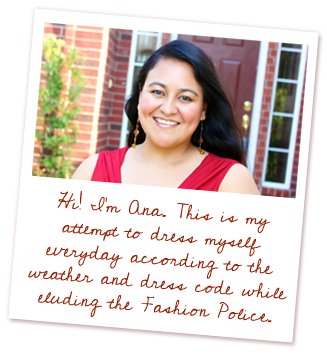 I paired the bold red dress with turquoise and tan colors to ground the look a bit. 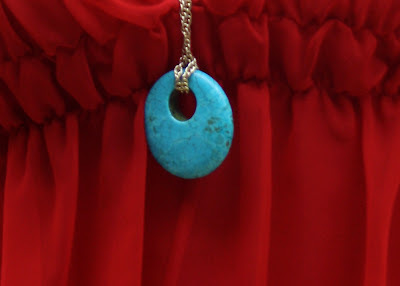 I’d been looking for a turquoise necklace for while and I love this one by Priviledge because the gold hasn’t tarnished yet as it did on my other gold necklaces! The earrings were bought while I was taking a class in New Mexico this summer. The camel leather lining of the linen shoes compliment the leather of the handbag. I think this is a great way to make the red feel a little more earthy. This is one of my favorite looks from this summer. It feels simple and yet my husband seems to love it.